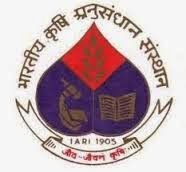 The Staff Selection Commission is functioning under the Department of Personnel & Training, Government of India. Initially known as Subordinate Services Commission, it was set up on 1 July 1976 primarily to make recruitment on zonal basis for non-technical Group B and Group C posts under the Central Government, except the post for which recruitment was made by Railway Service Commission and the industrial establishments. Essential:(i) Diploma in Electrical or Electronics & Communication or Electronics & Telecommunication or Electrical & Electronics or In strumentation or Instrumentation & Electronics or Applied Electronics & Instrumentatio n or Electrical Instrumentation & Control Engineering from a recognised University/In stitution. (ii) Two years experience in any of the fields of quality assurance/quality control/production/ manufacturing and testing of switch gears, cables, converters, light and light fittings, motors, generators, drives and control systems, air field lighting equipment, Electronics/ Radar/Radio/Telecommunication equipment, electro hydraulic system, programmable logic controller based systems, printed circuit boards/instrumentation, software development and validation, network control system etc. including knowledge of various standard and their interpretation. Desirable. : Passed six months training course in any Computer based programme preferably Microsoft work, excel, etc. 09 posts(UR-04, OBC-01, ST-01 & SC-03). Master’s Degree in Computer Applications or Computer Science or BE / B.Tech in Information Technology or Computer Engineering or Computer Science or Computer Technology from a recognised University or Institute. BE / B.Tech in Electronics or Electronics and Communication from a recognised University or Institute with two years’ experience in Electronic Data Processing work including experience of actual programming. Bachelor’s Degree in Computer Applications or Computer Science or Information Technology or Electronics from a recognised University with two years’ experience in Electronic Data Processing work including experien ce of actual programming. “A” level Diploma under DOEACC Programme or post G raduate Diploma in Computer Applications or Computer System and Management or Information System and Application or Computer Science or Computer Techno logy or Information Technology offered under University Programme or Post Polytec hnic Diploma in Computer Applications or Computer System and Management or Information System and Application or Computer Science or Computer Techno logy or Information Technology awarded by the State Council of Technical Education. Post Graduate Diploma in Electronics or Electronic s and Communication offered under University Programme or Post Polytechnic Diploma i n Electronics or Electronics and Communication awarded by the State Council of Technical Education with two years’ experience in Electronic Data Processing work including experience of actual programming. How to apply: Applications must be submitted in the form published in the Employment News / Rozgar Samachar/Commission’s Website. Candidate must submit separate applications and pay the fee separately for each post in case they wish to apply for more than one post. Applications submitted on a format which is not exa ctly the same as published in this advertisement, are liable to be rejected summarily. CLOSING DATE : Last Date for the receipt of applications is 20.06.2014 (upto 5.00 PM). in case of candidates residing in and posting their ap plications from Lahaul & Spiti Distt. and Pangi Sub-Div. of Chamba Distt. of Himachal Pradesh , Andaman & Nicobar Island, Lakshadweep, Assam, Meghalaya, Mizoram, Manipur, Na galand, Tripura, Sikkim, Jammu and Kashmir, Arunachal Pradesh for candidates residing abroad- 27.06.2014 (upto 5 P.M.). The Indian Agricultural Research Institute is the country’s premier national Institute for agricultural research, education and extension and It conducts Walk In Interview for the post of SRF Electronics Engg. Qualifications:M.Tech in Electronics Engg./ Electronics and Communication Engg./ Electronics and Instrumentation Engg. VLSI Design / Wireless Communication and computing/ Digital Communication. 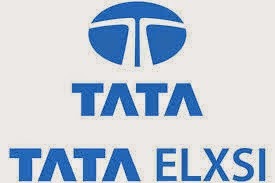 Tata elxsi invites applications from 2014 engineering fresher graduates in banglore. Qualifications: BE / BTech (EEE/ ECE/ EIE/ ETE)-2014 freshers with Minimum 70% in 10th,12th & BE / BTech.